Choose a toothpaste that features the American Dental Association’s Seal of Acceptance. This seal means that the product has received high marks for safety and effectiveness, and the claims that are on the label have been verified. Look for a toothpaste that contains sodium fluoride, stannous fluoride, or monofluoride phosphate for cavity protection. Toothpaste formulas that include the ingredient known as pyrophosphate can help to reduce the formation of tartar on the teeth. This ingredient does not remove existing tartar, but can help to reduce the formation of new tartar. A toothpaste that claims to whiten the teeth will not actually bleach the teeth, but can help to polish away surface stains to make the teeth look brighter over time. Abrasives such as calcium carbonate, silica, and aluminum oxide will help to polish away plaque and stain, but the ADA Seal of Acceptance will ensure that these ingredients don’t exceed reasonable or safe limits. 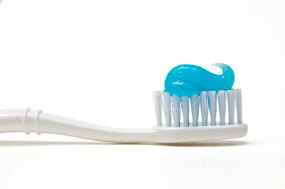 Choose toothpaste formulas with triclosan for antimicrobial protection which helps to combat bad breath and gingivitis. For relief from tooth sensitivity, look for ingredients like potassium nitrate or strontium chloride on the toothpaste label. To avoid irritating the lining of your mouth, avoid toothpaste formulas that include sodium lauryl sulfate, a foaming agent that is known to trigger canker sores. Dentists in Fairbanks are more than happy to assist you in the toothpaste selection process. Simply call to schedule your appointment now. ← How Much Do You Know About Dental Crowns?